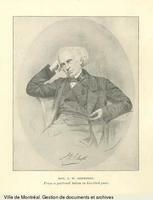 POOR, JOHN ALFRED, lawyer, editor and pamphleteer, railway entrepreneur; b. 8 Jan. 1808 at East Andover, Maine, second son of Dr Silvanus Poor and Mary Merrill; d. 5 Sept. 1871. The Poor family came to Massachusetts as Puritan immigrants in 1638. John Alfred Poor’s father was a physician and he was raised in comfortable New England surroundings. After teaching school for one winter in Bethel, Poor entered the Bangor law office of his uncle, and was called to the Maine bar in 1832. Married three times (Elizabeth Adams Hill, 8 July 1833; Elizabeth Orr; and Mrs Margaret Robinson Gwynne, 19 July 1860) he had one daughter by his first marriage. Poor had been present at Boston in April 1834 when the first locomotive ran in New England. He did not forget that experience: “It gave me such a shock that my hair seemed to start from the roots rather than to stand on end; and as I reflected in after years, the locomotive engine grew into a greatness in mind that left all other created things far behind it as marvels and wonders.” Railways became the great challenge of Poor’s life. At this time his own state of Maine, looked upon as an appendage of Massachusetts, was undeveloped; Portland, its major city, had been bypassed in the commercial expansion that was bringing prosperity to Montreal, New York, and Boston. In 1844 Poor published a plan for a railway network, centring on Portland, which would provide Montreal with an ice-free port on the Atlantic and link Montreal and Halifax by a trunk line from Montreal to Maine intersecting in Portland with another trunk line following the New England-Maritimes coast from Massachusetts to Nova Scotia. His first task was to convince Canadian entrepreneurs and politicians of the superiority of the port of Portland. Ice-free, it was 100 miles closer to Montreal than Boston and half a day closer to England by steamer. While the American portion of the route between Montreal and Portland was still being surveyed and a company organized and chartered (on 10 Feb. 1845), Poor spoke in Eastern Townships communities through which the railway would pass. With the support of Sherbrooke, the Montreal Gazette and Herald, and the new laws which permitted Canadian goods to cross American soil in bond, Poor hurried to Montreal in February 1845 to meet that city’s Board of Trade. There he won support for his Portland project over a trunk line from Montreal through Vermont to Concord and Boston. In 1846 construction began on the St Lawrence and Atlantic Railroad and its American counterpart, the Atlantic and St Lawrence, of which Poor was one of the directors from 1846 until probably 1853. Poor was also instrumental in the choice of gauge for the Canadian trunk line. By the mid 1840s Boston entrepreneurs in Maine used a gauge of 4’6”. To ensure Maine’s independence, Poor favoured a broad gauge of 5′6″. 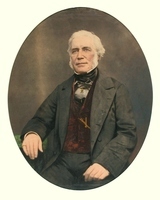 In 1847 he journeyed to Montreal and helped persuade the Canadian government to overrule its earlier commitment to the Boston interests and to accept the broad gauge. 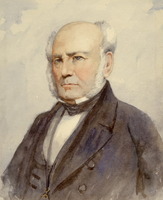 Again in 1851 he appeared before a parliamentary committee in Toronto and helped influence the choice of the broad gauge for the Great Western Railway. After his death, and at great cost, the Grand Trunk Railway adopted the narrow gauge of the American railroad system. Poor’s success in the trunk line to Montreal only heightened his interest in railways. In 1849 he moved to New York where he purchased the New York Railroad Journal. Returning to Portland in 1850, he became associated with a number of railways and to promote his projects he edited a newspaper, the State of Maine, from 1853 to 1859, when he merged it with the Portland Daily Advertiser. 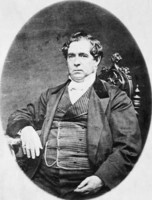 An active lobbyist, Poor was well known in Washington and corresponded with Canadian politicians such as Joseph Howe and John A. Macdonald*. Poor developed close contacts with Montreal entrepreneurs such as George Moffatt*, Peter McGill*, John Young, Alexander Tilloch Galt*, and John Torrance*. 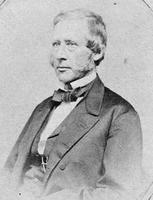 In 1854 he and his Portland associates joined with Allan Napier MacNab*, Augustin-Norbert Morin*, Jacob De Witt*, Galt, Henry Smith*, Jean Chabot*, John Young, and Ira Gould to present a petition to the Legislative Assembly of Canada on behalf of the Northern Pacific Railroad Company for an international railway system from Portland to Montreal, Sault Ste Marie, and along the south shore of Lake Superior to the Missouri River. With international cooperation and the unity of Anglo Saxons his political theme, Poor promoted his railway commercially by advocating it as the shortest route to Europe. He proposed a port on the Cape Breton coast and steamship service to Galway, Ireland. The Cunard or Collins steamers and the Midland Railway of Ireland would form part of a system to reduce the passage to London. Poor communicated with both the British and the American governments concerning mail contracts. Poor’s dream of a commercial empire centred on Maine never materialized. 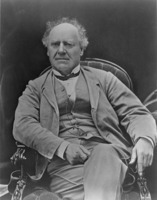 Political instability in the Maritimes, and the failure of Joseph Howe to win guarantees from the British government for lines from Halifax to Quebec and Portland in 1851, made progress difficult. With the lapsing of British interest the Intercolonial Railway rose as another competitor for Poor’s international railway. Nor did Poor have great success in promoting the railway in his native state; as one scribe noted, the Poor plan, “though it might dazzle talkers, did not convert investors.” Before 1863 some 200 miles of railway had been constructed by the governments of Nova Scotia and New Brunswick. In that year the railway was granted a loan of 800,000 acres from Maine and a $500,000 loan from Bangor; New Brunswick granted a charter the same year and a subsidy of $10,000 a mile to build from Saint John to the Maine boundary. Construction finally began in Maine in 1867 and the railway was completed in 1872. 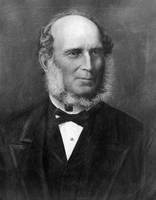 Poor had been president of the European and North American Railway since 1853, but in 1866 he was forced out of the presidency on a question of contracts and because of opposition from Bangor’s citizens. Poor’s attitude to British North America must be interpreted in terms of his determination to advance the interests of Maine. A strong supporter of reciprocity, he proposed its expansion into a North American Zollverein with the Great Lakes as an “open Mediterranean Sea.” The Civil War and confederation soured Poor’s hopes of achieving the European and North American Railway by cooperative measures. Abandoning the rhetoric of continental goodwill, Poor urged the American government to build the railway from Bangor to the international boundary as a defence project. 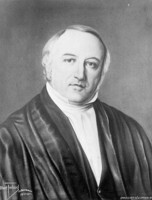 As an alternate, he appealed for federal assistance to the European and North American Railway as Maine’s compensation for its losses in the Maine-New Brunswick boundary dispute of 1842. Poor’s attitude to confederation reflected his growing animosity to Britain and his feeling that British North America would ultimately join the United States. Again his railway interests were a determining factor. Alice Stewart’s interpretation that Poor assessed the anti-confederate group in New Brunswick as more favourable to his railway interests seems valid. Certainly, the Intercolonial Railway promised in the confederation agreement would provide vigorous competition to his international trunk line along the coast. After confederation Poor again favoured amicable relations between Canada and the United States. However, his resources were failing by this time; partially blind and unable to write after 1866, he died of a heart attack on 5 Sept. 1871. [Primary material on John Alfred Poor consists of five boxes of letters, receipts, and clippings held by the Maine Historical Society (Portland). Scattered letters of Poor are at the PAC, in the Galt papers (MG 27, I, D8), Macdonald papers (MG 26, A), and Howe papers (MG 24, B29). 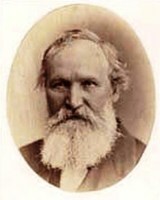 Poor wrote a large number of pamphlets, and most of these are available in his private papers at the Maine Historical Society. An inventory of these pamphlets was prepared by Poor’s daughter, Laura Elizabeth, in The first international railway and the colonization of New England; life and writings of John Alfred Poor (New York, 1892). The most important of the pamphlets are the following (place of publication not always known): Extracts from report of directors of St Lawrence and Atlantic Railroad Company in favor of a line to the east from Danville Junction to Bangor, and St John, New Brunswick (1848); The first colonization of New-England: an address, delivered at the erection of a monumental stone in the walls of Fort Popham, August 29th, 1862, commemorative of the planting of the Popham colony of the peninsula of Sabino, August 19, O.S. 1607, establishing the title of England to the continent (New York, 1862); The future of North America: a letter to the Chicago Ship-Canal Convention suggesting a Zoll-verein with Canada (1863); Memorial of John A. Poor in behalf of the European & North American Railway Co. and for a state policy favorable to immigration and the encouragement of manufacturers . . . (Augusta, 1861); Memorial to thirty-first legislature of Maine in relation to the European and North American Railway for shortening the transit of mails between New York and London (1852); No restriction on railway transit. Argument of John A. Poor before the joint standing committee on railroads, ways, and bridges, delivered in the Senate chamber of Maine, Feb. 14, 1865 (Bangor, 1865); Petition to the parliament of Canada praying for a charter for the Northern Pacific Railway Company, Quebec (Portland, 1854); Plan for shortening the time of passage between New York and London, with map: petition to the legislature of Maine in aid of the European and North American Railway (1850); Proceedings of Portland convention, etc., European and North American Railway (1850); “Project of a railway from Montreal to the Atlantic coast at Portland, Maine,” Sherbrooke Gazette, 5 Sept. 1844; Report to the legislature of Maine of commissioners on the coast defences of Maine, and documents relating thereto, in favor of building the European and North American Railway as a military railroad (1862); The trans-continental railway. Remarks at Rutland, Vermont, June 24, 1869 (Portland, 1869). The only substantial biography of Poor is in the book edited by Laura Elizabeth Poor. Important references to Poor are found in the transportation studies: E. C. Kirkland, Men, cities and transportation; a study in New England history, 1820–1900 (2v., Cambridge, Mass., 1948); S. H. Holbrook, The story of American railroads (New York, 1947); and G. P. de T. Glazebrook, A history of transportation in Canada (The Relations of Canada and the United States, Toronto, 1938). Of direct interest but limited value are two theses: Elda Gallison, “The short route to Europe, a history of the European and North American Railroad,” unpublished ma thesis, University of Maine, 1950. D. B. Pillsbury, “The history of the Atlantic and St Lawrence Railroad Company,” unpublished ma thesis, University of Maine, 1962. Poor’s role in the confederation period is treated by A. R. Stewart, “The State of Maine and Canadian confederation,” CHR, XXXIII (1952), 148–64. Brian J. Young, “POOR, JOHN ALFRED,” in Dictionary of Canadian Biography, vol. 10, University of Toronto/Université Laval, 2003–, accessed April 24, 2019, http://www.biographi.ca/en/bio/poor_john_alfred_10E.html.